So they don’t get hit with a tax crunch that could be entirely avoided with timely planning, founders of U.S. startups should be aware of Section 83(b) of the Internal Revenue Code. Here’s a post about what Section 83(b) does, when it should be elected and why it is important. Corporate founders generally enter restricted stock purchase agreements that provide for their stock to vest over a number of years. Under a vesting schedule, the company has the right to repurchase any unvested stock at cost upon the founder’s separation from the company. The right to repurchase generally lasts for a period of three to five years, provided that the founder continues to provide services to the company. One common arrangement is a four-year vesting period with a one-year cliff. In this case, at the end of the first year a founder would receive 1/4 of the shares, and the remaining 3/4 vest monthly in equal portions over the remaining 36 months. However, founders can mix and match such grants to reflect each founder’s relative investment in and importance to the organization. Whether it is a “four year with one year cliff” arrangement or another milestone or time-based vesting trigger, restricted stock keeps the founders engaged and involved, since they do not acquire certain rights in the stock, such as the right to sell, until the stock vests. As a result of such vesting restrictions, the IRS views the acquisition of the stock for tax purposes as the date it is released from the restrictions. In a typical startup, the founder purchases “cheap stock” at a low fair market value, which minimizes taxes at stock issuance. A common pre-money valuation is, for example, five million shares at $0.001 per share (one tenth of a penny), with the founders contributing a total of $5,000.00 for the shares issued to them. This assumes that there is no need for a significant cash investment to fund operations. Founders/employees then earn their equity over time in exchange for their longevity with and services to the company. When the stock is released from restrictions (i.e., becomes fully vested), there is a taxable event. At this point, if the company is successful, the value of company stock on a post-money valuation may have significantly increased. For example, those five million shares may later be worth $1.00 per share, for a total fair market value of $5,000,000.00. If the founders’ equity contributions were diluted by, for example, a Series A preferred stock round of $4,000,000.00, the total increase in value to the founders’ shares would be $995,000.00 (i.e., the then-current $1,000,000.00 value of the founders’ stock less their $5,000.00 initial investment). If the founders’ restricted shares all vest as of a single $5,000,000.00 vesting date in the example above, taxes would be owed collectively by the founders on the full amount of $995,000.00. Of course, if the shares vest over time, the valuation of the company will fluctuate over time, resulting in an accounting headache. In either case, it is a potential tax nightmare. This may be true even if transfer restrictions (other than vesting) or market forces dictate that the founder cannot liquidate his or her shares. To know what purpose Section 83(b) serves, you first need to understand Section 83(a) of the tax code. Under 83(a), if an individual receives property in exchange for services, he or she pays tax on the excess of the fair market value of the property over the purchase price. This makes sense in the context of a consultant, for example, who may be wholly or partially compensated in kind (i.e., other than cash) by means of a stock grant or discounted purchase price. A founder who has to earn his or her shares over time is also treated by the IRS as a service provider under 83(a). In other words, if the ownership of the shares must be forfeited when the founder’s relationship to the startup terminates, the IRS views the shares as having been granted in exchange for services. 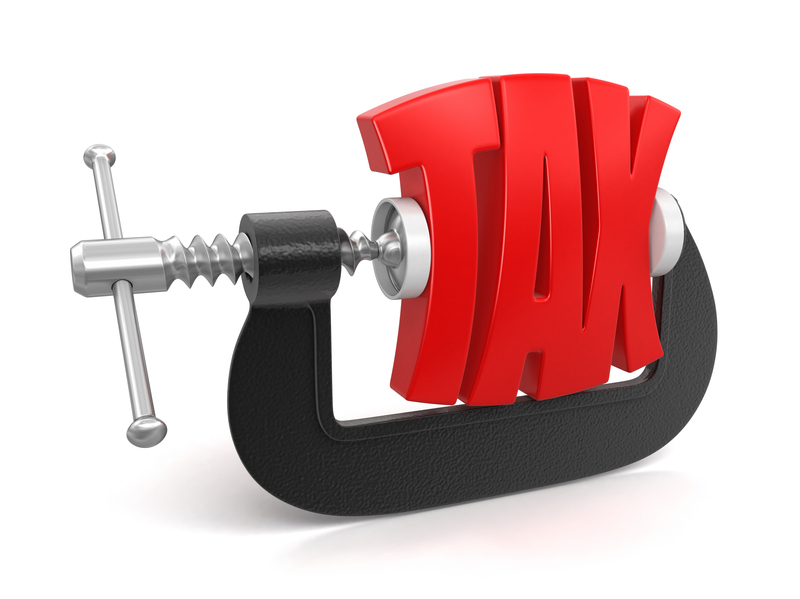 Section 83(a) does not impose an immediate tax. Instead, such grants of restricted shares are only taxed when they are no longer subject to “a substantial risk of forfeiture”. Under 83(b), a special, one-time irrevocable tax election may be filed within 30 calendar days (with no exceptions) of the date of the initial stock grant with respect to shares that have a substantial risk of forfeiture. The founder or other service provider thereby elects to pay tax (if any) upfront on the difference between the fair market value at issuance and the purchase price. This difference, often called the “spread”, is usually at or close to zero. Note that 83(b) elections are not applicable to stock grants that are unrestricted or in those special cases where the company has the right to buy back a founder’s shares at fair market value (rather than the purchase price). In the absence of an 83(b) election for restricted stock, a founder is liable for taxes on the increase of any vested stock – the difference between the purchase price and the fair market value on the vesting date. If shares vest over a number of months, this means there is a taxable event in each month that shares vest, tied to the fair market value as of the vesting date. This is true even if the shareholder continues to hold the shares. In addition, the holding period for long term capital gains does not begin until the shares are vested. By contrast, with an 83(b) election in place, the founder incurs no taxable income as the shares vest over time. Only capital gains tax (on the gain) would be payable upon sale, with a holding period commencing on the date of the stock issuance. Elections under Section 83(b) do not benefit all holders of restricted stock. For example, an employee in a mature startup may be issued restricted stock at a steeply discounted price and will likely not want to take an immediate tax hit on the spread between the market value of the stock and the discounted price paid. If the company then fails, a substantial tax was then paid for no actual benefit. Second, there are tax complications that can arise if some of the founders contribute property (such as IP) in addition to cash. 83(b) elections must be made in the 30-day time period following the stock grant. The election should be mailed via certified mail to the IRS Service Center where an individual normally files his or her tax returns. There are a number of formalities that need to be followed, including reporting the election on an end-of-year return, that are outside the scope of this blog post. Founders or others holding restricted stock should consult a tax advisor or business attorney to fully understand the pros and cons of unvested stock and the 83(b) election as well as the procedures for making one. None of the information posted on this site constitutes legal advice or forms an attorney-client relationship, and there may be facts not discussed here or updated to the law that are relevant to your situation.